From America's # 1 bestselling crime writer comes the extraordinary new Dr. Kay Scarpetta novel. The "book of the dead" is the morgue log, a ledger in which all cases are entered by hand. For Kay Scarpetta, however, it is about to take on a new meaning. Fresh from her bruising battle with a psychopath in Florida, Scarpetta decides it's time for a change of pace, not only personally and professionally but geographically. Moving to the historic city of Charleston, South Carolina, she opens a unique private forensic pathology practice, one in which she and her colleagues-including Pete Marino and her niece, Lucy-offer expert crime-scene investigation and autopsy services to communities lacking local access to modern, competent death investigation technology. It seems like an ideal situation, until the new battles start-with local politicians, with entrenched interests, with someone whose covert attempts at sabotage are clearly meant to run Scarpetta out of town. And that's before the murders and other violent deaths even begin. A young man from a well-known family jumps off a water tower. A woman is found ritualistically murdered in her multimillion-dollar beach home. The body of an abused young boy is discovered dumped in a desolate marsh. Meanwhile, in distant New England, problems with a prominent patient at a Harvard-affiliated psychiatric hospital begin to hint at interconnections that are as hard to imagine as they are horrible. Kay Scarpetta has dealt with many brutal and unusual crimes before, but never a string of them as baffling, or as terrifying, as the ones confronting her now. Before she is through, that book of the dead will contain many names-and the pen may be poised to write in her own. The first name in forensics. The last name in suspense. 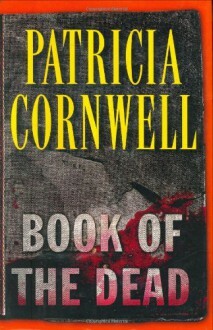 Once again, Patricia Cornwell proves her exceptional ability to entertain and enthrall. Terrible terrible book. I forced myself to finish it.